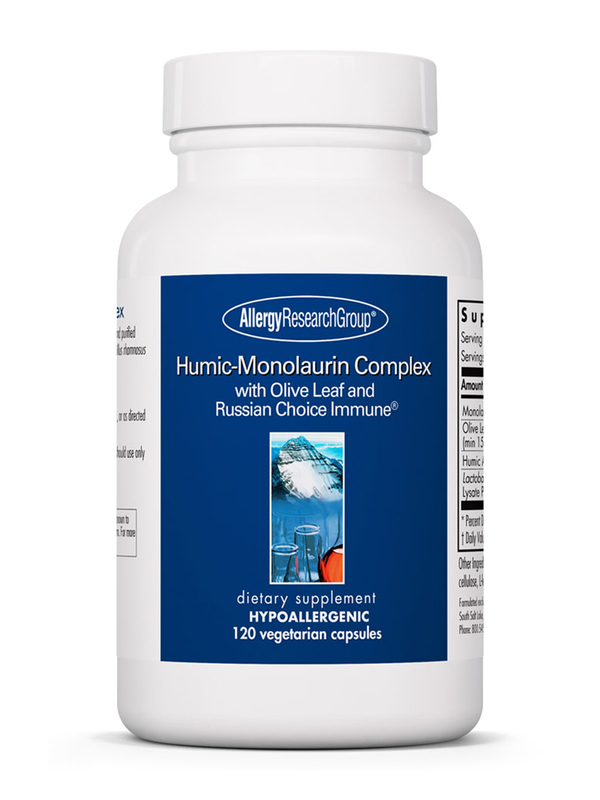 Humic-Monolaurin Complex by Allergy Research Group is a blend of ingredients that may work to promote immunity. One of these ingredients is humic acid‚ which is a chemical that certain plants produce as they decay. 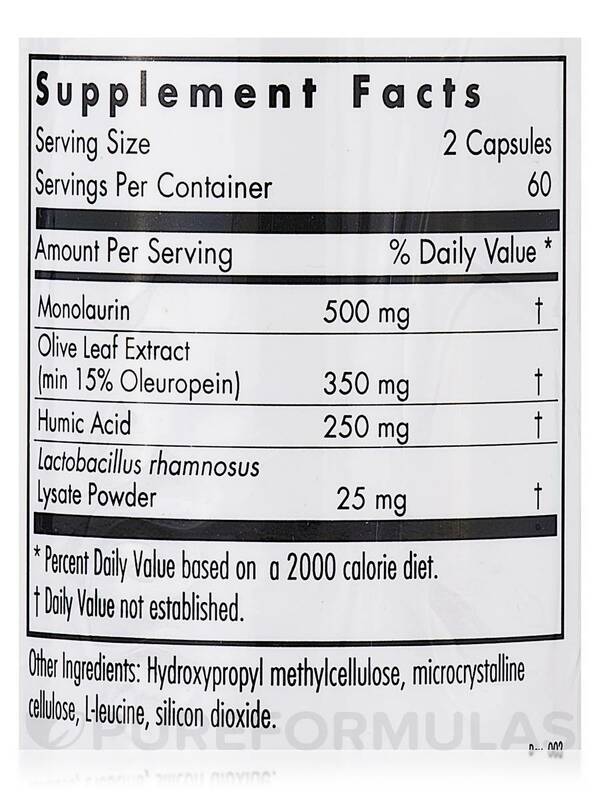 According to its proponents‚ humic acid may work to stimulate immune function; for this reason‚ every two-capsule serving of Humic-Monolaurin Complex provides 250 milligrams of humic acid. In addition‚ this product contains a substance called monolaurin‚ which is commonly found in coconut oil. By playing a role in fighting off some forms of bacteria and viruses‚ the monolaurin in Humic-Monolaurin Complex may help address certain symptoms associated with the common cold or flu. This immune support supplement is also a good source of olive leaf extract. Olive leaf extract—an herb that contains the active compound oleuropein—might work to relieve mild congestion due to its anti-inflammatory properties. 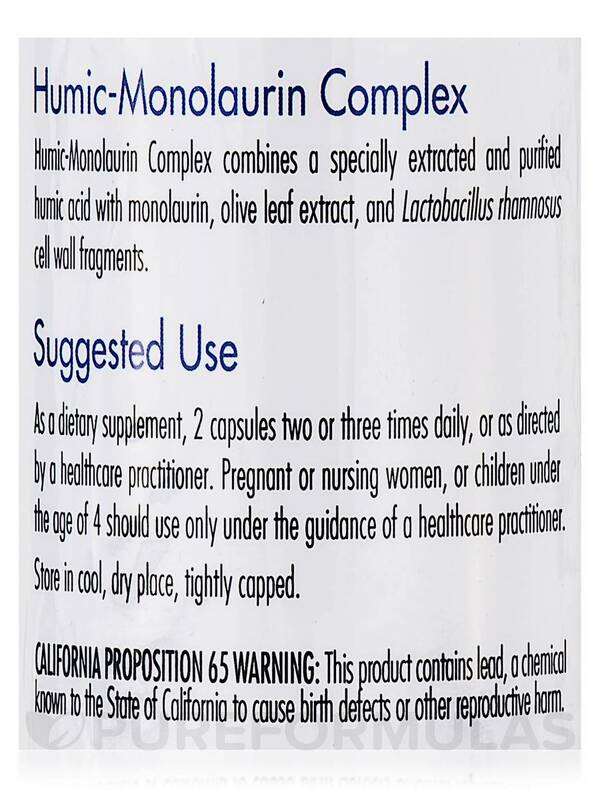 Finally‚ Humic-Monolaurin Complex provides Lactobacillus rhamnosus cell wall fragments because Lactobacillus rhamnosus is a form of probiotic bacteria that may offer further support for your immune system. Take two capsules two or three times daily. 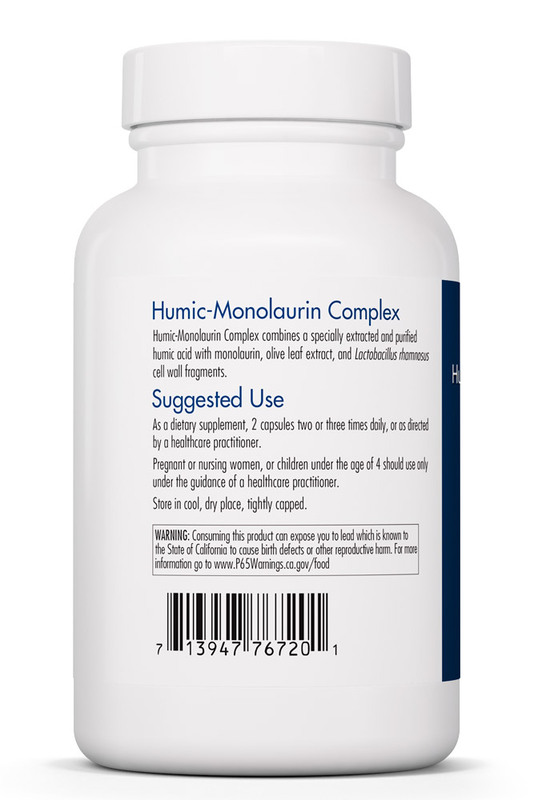 At the recommended dosage‚ each 120-capsule bottle of Allergy Research Group’s Humic-Monolaurin Complex should last for up to one month. 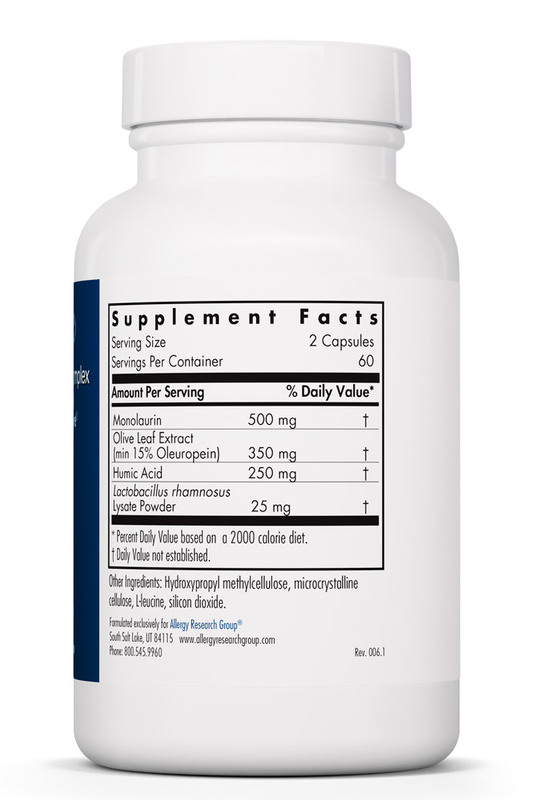 As a dietary supplement‚ 2 capsules two or three times daily‚ or as directed by a healthcare practitioner. Pregnant or nursing women‚ or children under the age of 4 should use only under the guidance of a healthcare practitioner. Store in a cool‚ dry place‚ tightly capped. Pregnant or nursing women‚ or children under the age of 4 should use only under the guidance of a healthcare practitioner. what dose & for how long to kill sacral herpes in a human (prob. type 2 but i read it may in some instances be type 1)? my cat has upper respiratory herpes which is barely controlled with lysine - can i give this to him? (i.e. : in his food) & would the dose be smaller or ...? Thank you for reaching out to us, M Rae. The recommended dosage states, as a dietary supplement, take 2 capsules two or three times daily, or as directed by a healthcare practitioner. Please consult with your trusted veterinarian before giving to you cat.